A recent report published by statistics provider StatCounter shows how Firefox users are quickly switching to the latest version of Mozilla's alternative to Internet Explorer. The latter, although still enjoys the largest segment, is quickly losing its lead to Firefox and Chromewho together account for almost 50% of the global market. Mozilla's Firefox 4 reached 14.2% of the worldwide market in May, overtaking for the first time its previous 3.6 version which is on 12.3%, according to StatCounter, the free website analytics company. The firm's research arm StatCounter Global Stats reports that following its launch on March 22nd Firefox 4 has overtaken Microsoft's Internet Explorer 9.0 which is on 4.6% globally and is just behind Google's Chrome 11 which has 16%. "Firefox 4 has performed well since launch and is on an upward trajectory," commented Aodhan Cullen, CEO, StatCounter. "This is particularly impressive as a Firefox upgrade has to be initiated or authorized by the user, unlike Chrome, for example, which undergoes automatic updates." When all versions are combined IE still leads the pack globally with 43.9% followed by Firefox with 29.3%. The forward momentum, however, is with Chrome which has increased from 8.6% a year ago to 19.4% in May 2011. In the USA Firefox 4 is on 12.6% compared to 10.7% for Firefox 3.6 while IE 9 is on 5.9%. Aodhan Cullen added that IE 9 is restricted by the fact that it only runs on Windows 7 and Vista and not on XP, the worldwide market leader. 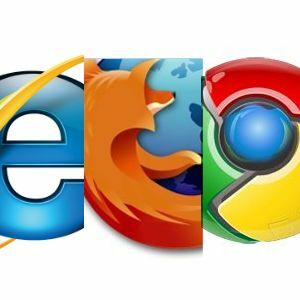 When all browser versions are taken into account IE leads the US market with 47% followed by Firefox on 25% and Chrome on 15%. StatCounter Global Stats are based on aggregate data collected on a sample exceeding 15 billion page views per month (4 billion from the US) from the StatCounter network of more than three million websites.